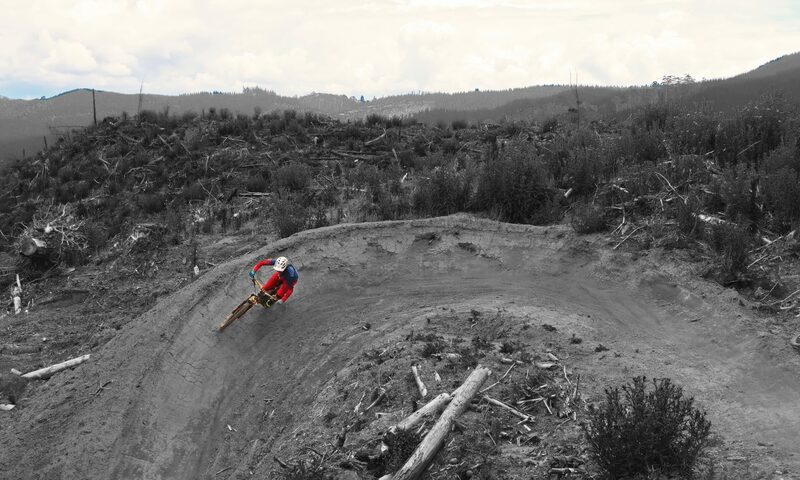 Dinosaurs and mountain biking are the two things that make Fruita so special. In fact, there is a dinosaur-on-bike sculpture in downtown. 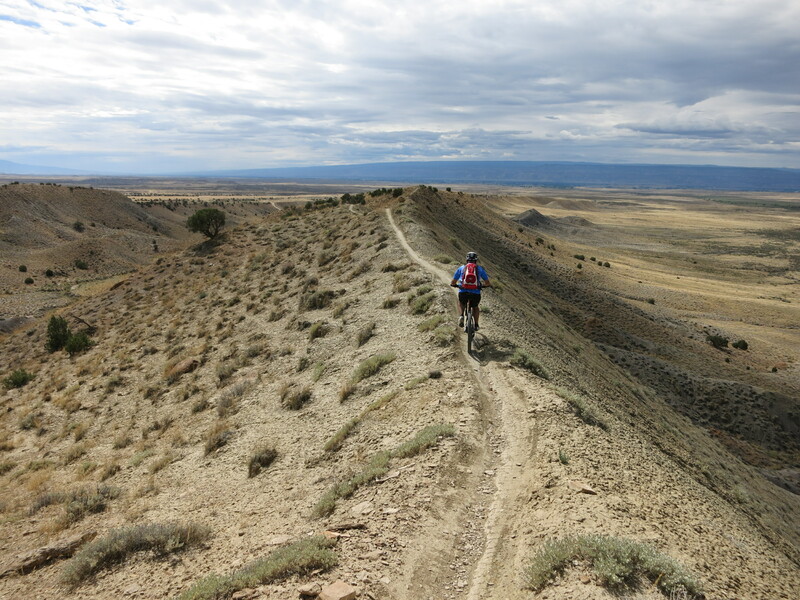 The two main mountain bike trail systems are the Kokopelli Trails above the Colorado River and the 18 Road Trails in the North Fruita Desert. The Kokopelli Trails that consist of several loop trails (Mary’s, Horsethief’s, Wrangler’s) are mostly rocky or sandy and quite technical in some spots. The trail down to the Horsethief loop in particular, is where you better carry the bike (which can be still challenging and painful, as I can tell from own experience). The ride at the edge of cliffs is awesome due to the spectacular views. Either way you go, there are rock steps to go up or down. As I struggled to overcome some of the rock steps I couldn’t get into the flow in some sections. All in all, the Kokopelli Trails offer a great and challenging experience. The 18 Road trails on the opposite side of town are quite different. The lunarlike landscape, but as well, the smooth and zippy trails are fantastic. The Prime Cut trail is the best uphill trail to access most other trails, e.g. Zippity, PBR, Chutes & Ladders, etc. After going down the fast and smooth PBR Trail with some jumps and berms, we went up Prime Cut again to hit Zippity Do Da via Frontside Trail. What an outstanding ride! Zippy and fun on Frontside and then the smooth ride up and down the ridge in a peculiar landscape. Stunning and awesome. The double loop added up to 20 km and much more pictures that we took during the ride.